As the United States was posed to invade Iraq, New York Times columnist Thomas Friedman asked: “Is Iraq the way it is today because Saddam Hussein is the way he is? Or is Saddam Hussein the way he is because Iraq is the way it is?” This question gets at the cyclical relationship between a culture and an individual conscience and suggests the relationship is also interactive: culture influences the conscience and vice versa. If there was ever any doubt about the plasticity of culture and conscience and the ability for one to influence the other, it should have been put to total rest after an accidental experiment with baboons. In the late 1970s, Robert Sapolsky and Lisa Share began studying a troop of savanna baboons, which are predisposed to using aggression during disputes, not unlike chimpanzees and humans. In the mid-1980s, Sapolsky and Share watched a rare tragedy unfold: the troop’s most aggressive males died from bovine tuberculosis contracted after eating from an open garbage pit near a tourist camp. The troop survivors were largely unaggressive and mostly female, which led to the development—and, even more strange, persistence—of a gentler, more peaceful baboon culture, which Sapolsky and Share documented. 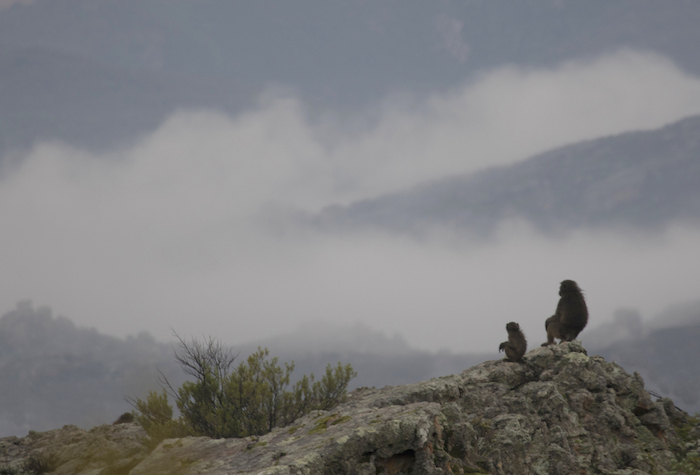 New high-ranking male baboons that entered the troop adapted their behavior to this new culture, showing they could override their evolutionary disposition. A decade later, these behavioral patterns and the more pacifist culture continued, at least in that troop (how exactly remains a mystery, with a number of competing hypotheses). While Sapolsky and Share showed the role of culture in mediating baboon aggression, recent research has shown that professional cultures mediate dishonesty in humans. An experiment involving hundreds of Europeans revealed that bankers were more dishonest than other professionals (including prison inmates), but only when their “banker” identity was activated. Otherwise, if bankers did not think about their professional identity, they were just as honest as people from other professions. Studies like this demonstrate that unethical behavior is more endemic to the culture than the conscience. Let’s consider the role of culture and conscience with regards to climate change, given that climate change presents the biggest threat to nature as we know it. We humans share the same basic genetics, yet there is large variability between individuals and countries with regards to action on climate. These differences indicate that the software of culture and conscience, rather than the hardware of genetics, are the main forces in acting (or not) on climate change. To get more specific about culture and conscience, let’s focus on climate denial, due to its role in obfuscating opinion and perhaps action on climate. Climate denialism is more prevalent in the United States than in other countries. A study compared media coverage from November 2009 to February 2010 in Brazil, China, France, India, the United Kingdom, and the United States and showed that the U.S. media published the highest proportion of articles—one-third—expressing doubt about climate change. Climate denial is also more prevalent among conservatives than liberals. Studies comparing cable news coverage of climate change have shown that Fox News emphasized scientific uncertainty and questioned the existence of human-caused climate change more than other networks. Here culture is at work, but the consciences of the individual journalists filing their articles and the individuals watching Fox News must also play a role. How much climate denial can we attribute to external, cultural forces and how much can we attribute to the internal conscience of individuals? To know the exact contributions of culture and conscience to any given issue is probably not possible, but we can get closer to understanding the role of each. One way to more precisely understand the influence of culture is to look at how the same individuals change after prolonged exposure to a certain culture. One study surveyed thousands of U.S. residents in the fall of 2008 and about a thousand of those same people again in the spring of 2011 and found that the more individuals reported using conservative media, the less they trusted scientists and the less certain they became that climate change was real. In contrast, to get at the role of the conscience, we must consider the differences in behavior between individuals despite similar cultural context. The experiment mentioned above showed bankers were, on average, more dishonest than other professionals, but perhaps the more difficult question is why some bankers were dishonest in the experiment while some were not; the reason may come back to conscience. Like the bankers, CEOs of major oil corporations operate within a similar culture—the culture of big oil. This is the culture that seeded climate denialism. Among big oil, ExxonMobil seems to stand out as particularly egregious when it comes to climate change denial. According to recently leaked emails, ExxonMobil knew about climate change as early as 1977 (when it was just “Exxon”) and, beginning in the 1980s, began funding large climate denial campaigns. The funding of climate denial spanned the leadership of four CEOs—Clifton Garvin (1975-1986), Lawrence Rawl (1987-1993), Lee Raymond (1993-2005), and Rex Tillerson (2006 to the present)—suggesting that the strategy was part of ExxonMobil’s culture. Yet, it’s difficult not to see Lee Raymond as unique among these CEOs. Under his regime, ExxonMobil aligned itself to a greater extent with climate denial, as well as with the Republican Party, than many other large oil and industrial corporations. Under Raymond, ExxonMobil gave only five percent to Democrats compared to Chevron and Shell’s twenty to twenty-five percent. When Rex Tillerson took over from Raymond as CEO of ExxonMobil, he changed part of the company’s position on climate and finally admitted to man-made climate change (although he maintains it’s not dangerous). What explains the difference between Lee Raymond and Rex Tillerson? Their individual consciences arguably account for some of their differences. However, we must concede again that conscience and culture influence one another. The political culture had shifted when Tillerson became CEO of ExxonMobil. But here again the new political culture was influenced by individual consciences, including that of President Obama (or of those writing his speeches), whose administration accepted the science on climate change and has made a moral case for climate action. In their new book The Collapse of Western Civilization, historians of science Naomi Oreskes and Erik Conway focus on culture’s pitfalls with regard to climate change. A fictional historical account looking back from the year 2393, Oreskes and Conway explain that the onset of dangerous climate change and collapse of western civilization were brought on by market fundamentalism as well as excessively strict science-based standards for taking preventative action. To keep this dystopian future from unfolding, culture and conscience, particularly in the United States, have to change. Fortunately, like the savanna baboons, our culture and conscience are both quite adaptable. The question is whether we are up to the challenge of changing them. Sapolsky R.M. and Share, L.J. (2004). A pacific culture among wild baboons: its emergence and transmission. PLoS Biology, 2(4), e106. Cohn, A., Fehr, E. and Maréchal, M.A. (2014). Business culture and dishonesty in the banking industry. Nature, 516, 86-89. Jacquet, J. (2014). We are not not evolved to respond to climate change. 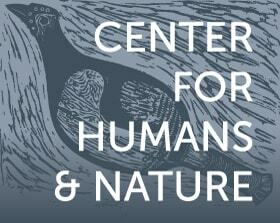 Center for Humans and Nature. Retrieved from http://www.humansandnature.org/mind-morality-jennifer-jacquet. Jacquet, J., Dietrich, M., and Jost, J. (2014). The ideological divide and climate change opinion: “top down” and “bottom-up” approaches. Frontiers in Psychology, 5, 1-6. Painter, J., and Ashe, T. (2012). Cross-national comparison of the presence of climate scepticism in the print media in six countries, 2007–10. Environmental Research Letters 7, 044005. Feldman, L., Maibach, E. W., Roser-Renouf, C., and Leiserowitz, A. (2012). Climate on cable: the nature and impact of global warming coverage on Fox News, CNN, and MSNBC. International Journal of Press Politics 17, 3–31. Hmielowski, J. D., Feldman, L., Myers, T. A., Leiserowitz, A., and Maibach, E. (2014). An attack on science? Media use, trust in scientists, and perceptions of global warming. Public Understanding of Science 23, 866–883. Koll, S. (2012). Private Empire: ExxonMobil and American Power. Penguin Press: New York. Oreskes, N. and Conway, E.M. (2014). The Collapse of Western Civilization: A View from the Future. Columbia University Press: New York. Jennifer Jacquet is an assistant professor in the Department of Environmental Studies at New York University. She is the author of Is Shame Necessary? New Uses for an Old Tool.